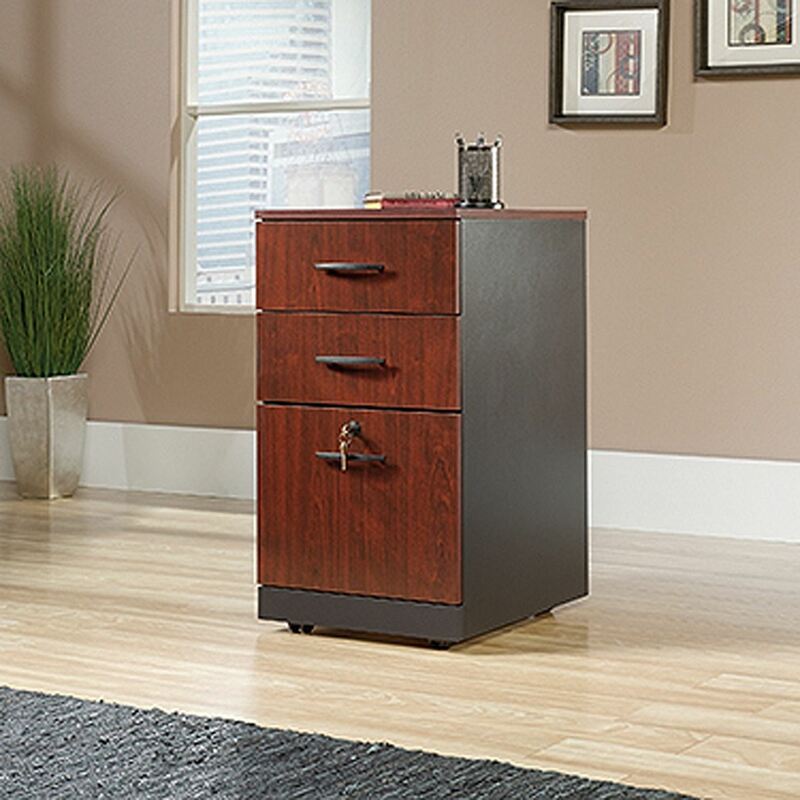 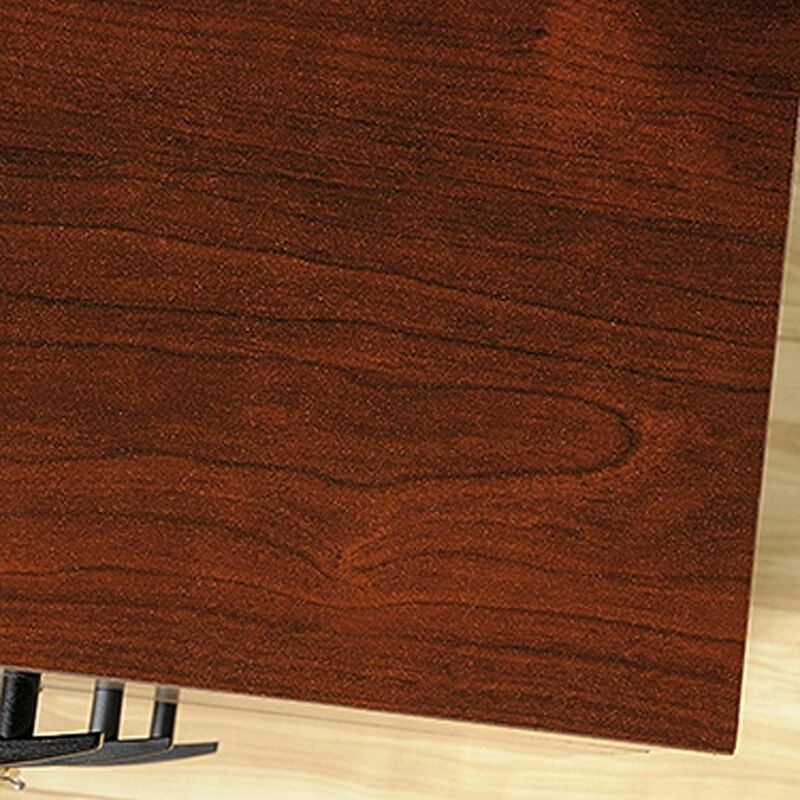 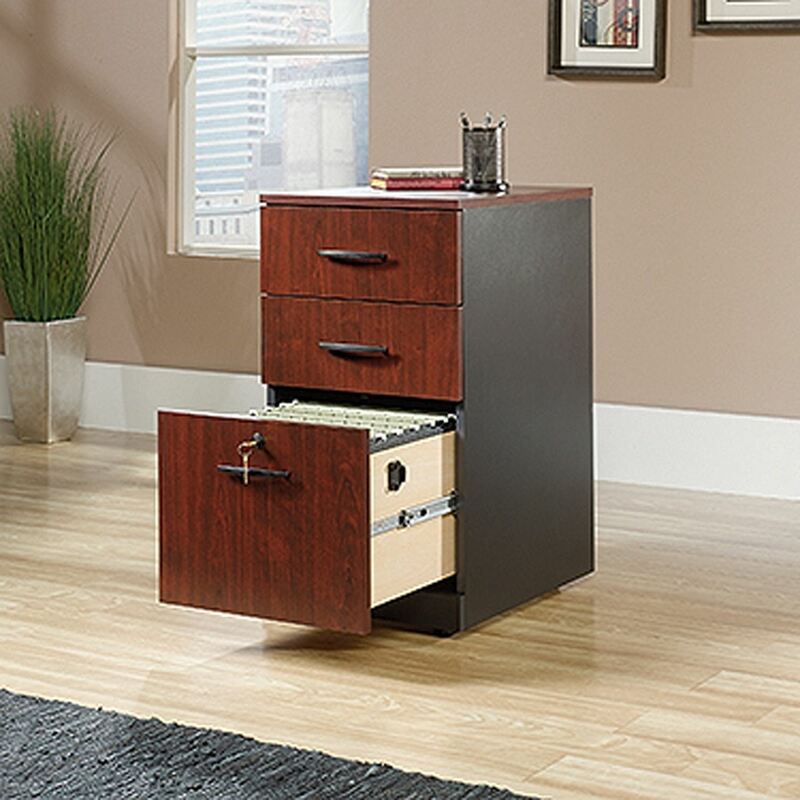 Via T3-Drawer Pedestal Classic Cherry By Sauder. 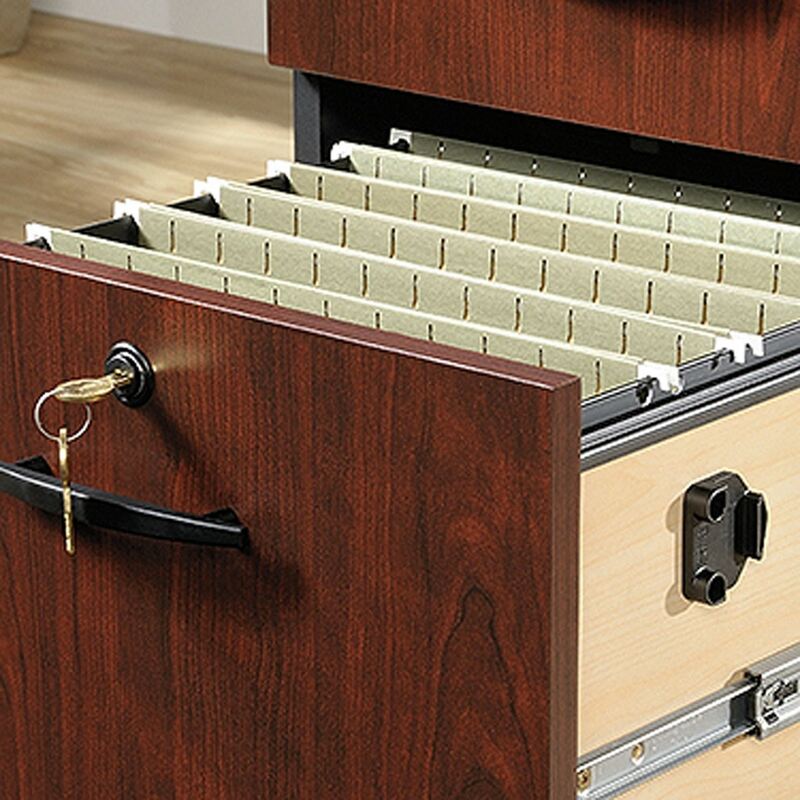 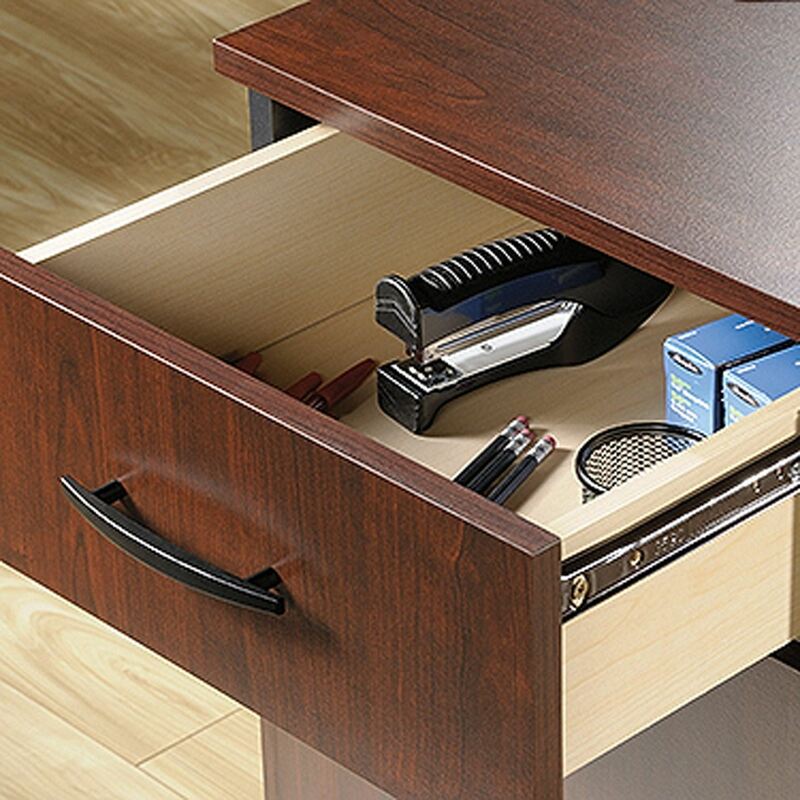 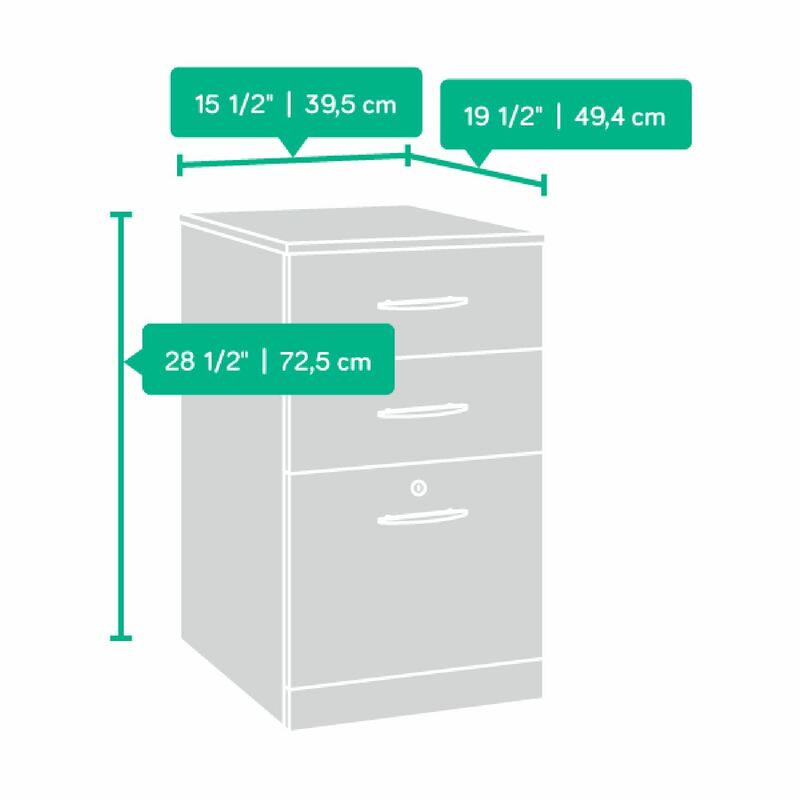 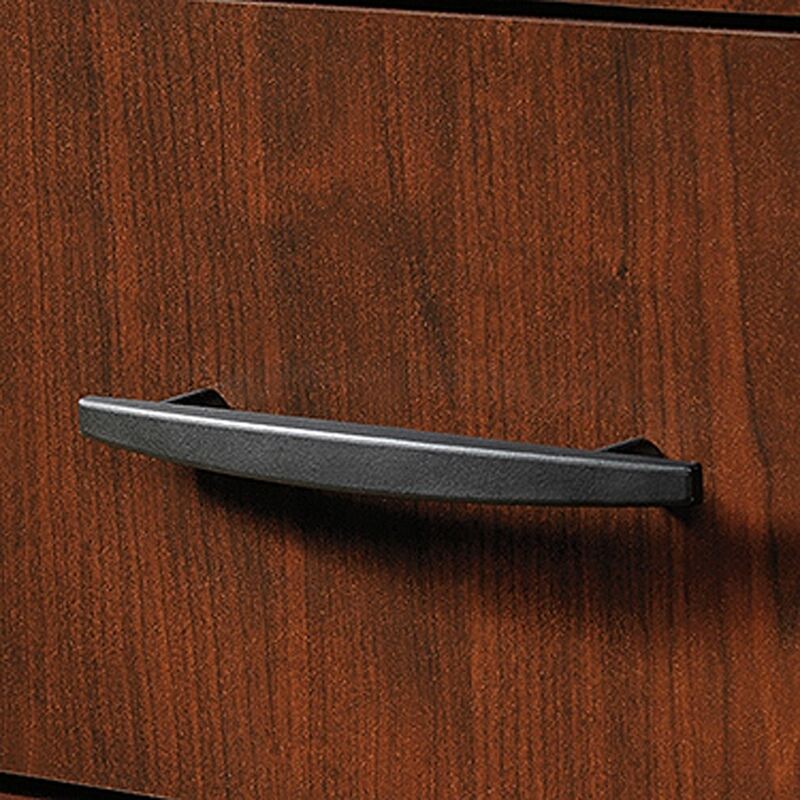 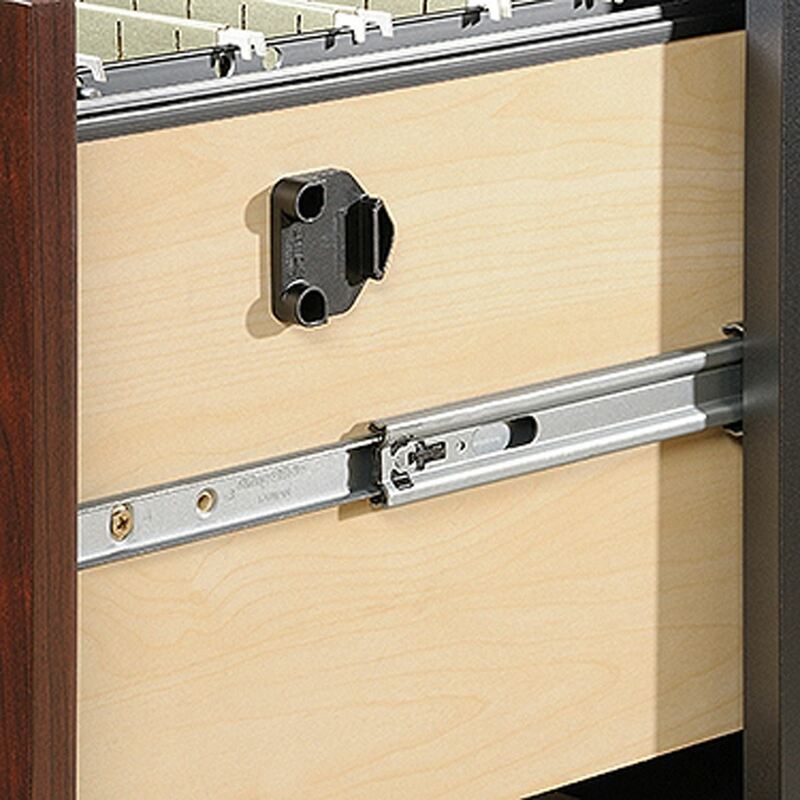 Locking, lower drawer with full extension slides holds letter, legal, or European size hanging files. 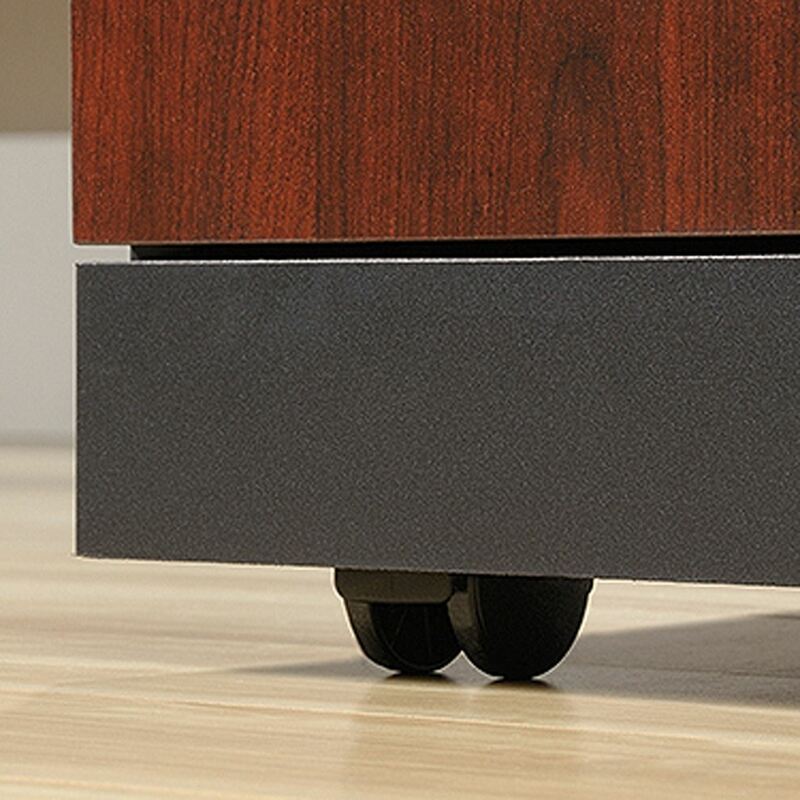 Hidden casters for easy mobility.